Ideas for custom backpacks printed with your logo from Jansport, Under Armour, OGIO and more. Perhaps the most popular bag for all kinds of trips and everyday use is the trusty backpack. The biggest advantage of a backpack is that it is easily carried over one’s shoulders. This leaves travelers with both hands freed up without setting down their belongings. In addition, backpacks are often outfitted with various pockets and pouches, making them a highly organized way to carry everything in one bag. With this in mind, we offer a wide selection of custom backpacks that your company can use to spread its message across the globe. Get in touch with our experienced team to explore backpack options and discover the right fit for your company. 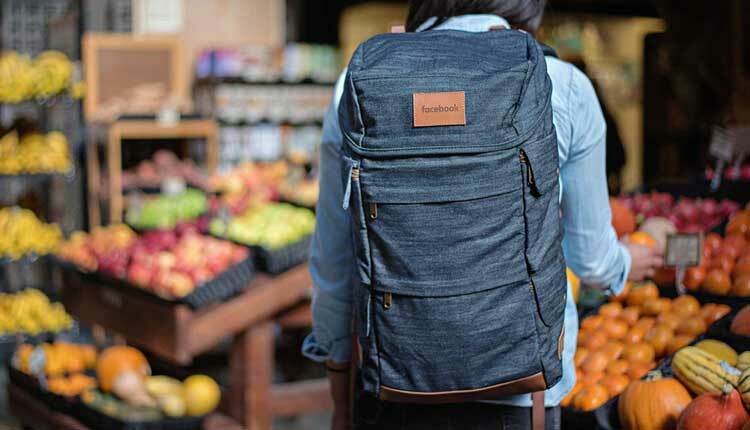 Continue along with us as we present our guide to a few of our favorite custom backpacks. Choose from effective and low cost options starting at under $1, or splurge on luxury backpacks for more than $400. Regardless of your budget or setting, there is something here for everyone. The right choice depends on factors such as your target audience, budget, and specific branding goals. A couple of our top picks are two OGIO brand backpacks, the Epic Pack and Mastermind Pack. Both of these sturdy and versatile backpacks are made from durable nylon and poly. Multiple sizes and locations of pockets make them the ultimate organizational carry cases for anything you might need. These include designated cellphone/mobile device pockets, insulated water bottle sleeves, digital media/audio pockets with headphone exit port, and more. Your logo on the backpack can be either screen printed or embroidered. This is placed on the highly visible front pocket of the bag for optimal exposure. On the opposite side of the spectrum, we have a couple of Thule backpacks. A few from their lineup of 15” computer backpacks take a more minimalist approach. For many of us, we don’t want or need to bring along the kitchen sink every time we leave the house. Less bulky and more compact, these backpacks are ideal for daily commuters or single events. The Thule Vea 15” Computer Backpack 17L is a great example of a single purpose backpack. This simplistic, but quality made bag features a single zipper centered vertically on the front pocket. Its specific purpose is to effortlessly transition from work to the gym, while keeping active and professional attire separate. Comfortable and compact, it is perfect for a crowded public commute, or undersized gym locker. It also has two open-air side pockets for miscellaneous storage. Imprinting is available in both screen print and embroidery. Color options include solid black and forest green/lichen. Our extensive lineup of other Thule backpacks provide quality options for a variety of needs. For situations that may include walking long distances, such as through a busy airport, we have inventive High Sierra backpacks. Handy crossovers like the Powerglide Wheeled Compu-Backpack can temporarily relieve your shoulders during extensive travel. With the look and feel of a normal backpack, you can use it normally until your shoulders are feeling sore. Then, simply remove the backpack and extend the collapsible handle. Integrated wheels allow you to effortlessly pull the backpack behind you while on the go. As with our other products, each backpack will be screen-printed or embroidered with your desired logo. With the High Sierra 22 mentioned above, you can also opt to have your design de-bossed. This involves using a heat pressing process to create a permanent indent of your logo in the nylon material. If some of our other options are too pricey for your current promotional budget, our huge selection of drawstring backpacks can help. Despite their relatively simple and cheap design, they remain hugely popular as a means of carrying items. Drawstring bags work great when you don’t want a large backpack to lug around, but you need more than your pants pockets. They are perfect for a quick trip to the beach, a stroll through the park, or an evening out on the town. One of the most effective ways to use this affordable option is as a “gift bag.” If you are handing out several promotional items at your next event, consider using drawstring backpacks to hold other items. In addition to making it easier for your recipients to haul all there goodies home, there is one more item with the potential to promote your brand in a positive way. With all of the available options for custom backpacks, you are sure to find something that fulfills your company’s needs. Backpacks are an essential tool that allows people to take their belongings from point A to point B with ease. As long as people have places to be, they will need backpacks to help them haul their stuff with them. Take this opportunity to partner with us in providing quality backpacks, while also spreading your brand’s message. With our help, you can utilize branded backpacks to promote your brand wherever recipients may go. Reach out to our sales team for personalized help with making smart decisions for your company’s future.